Designed to work with BEHR Chalk Decorative Paint, BEHR Wax Decorative Finish is designed to seal and protect your painted surface. It is soft, pliable, low-odour, and easy to work with. It also buffs easily, allowing maximum control over lustre. This pretty in pink wallpaper is geometric and chic, a lovey trellis design that is simple and sophisticated. With contemporary lines and a timeless style, this darling accent for your nursery dicor will transition well as your child grows. Add a blush of colour to the room with the convenience of a peel and stick, temporary wallpaper. The high performance material is easy to install and will not damage your walls. Painters Touch Ultra Cover 2x contains breakthrough technology to provide twice the coverage on surfaces such as wood, metal, wicker and more. It provides more coverage in fewer spray passes, allowing projects to be completed faster and easier. Any-angle spray feature allows you to spray in any direction, even upside down. Comfort spray tip with a wide finger pad prevents finger fatigue while providing excellent spray control. 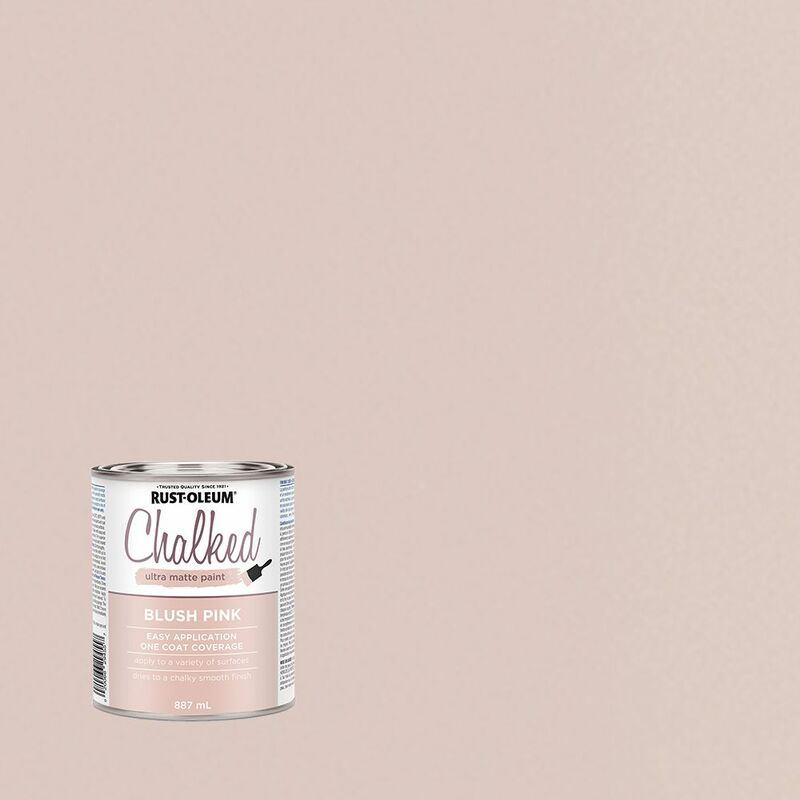 Chalk Paint Blush Pink Chalked Ultra Matte Paint creates a matte finish that dries to a velvety smooth finish. It transforms and rejuvenates furniture and home dicor, creating a unique one of a kind look.